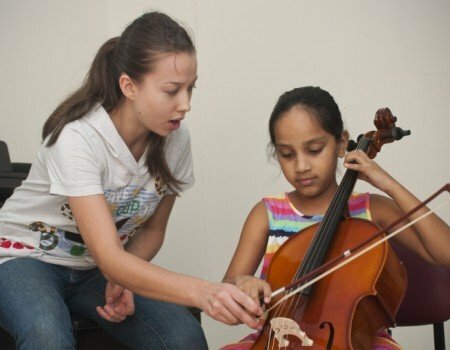 The SOI Music Academy (formerly the NCPA Special Music Training Programme) was launched in 2012, to offer an advanced level of music training, previously not available in India, to talented young children. Under the supervision of SOI Music Director Marat Bisengaliev, the students receive a holistic music education that is inspired by the Russian Conservatoire method. This includes substantial one-to-one tuition on the student’s primary instrument, as well as second-study piano lessons, music history, music theory, group-singing teaching via the Solfeggio method, as well as training in orchestral playing and chamber music. The Academy currently offers lessons on all the string instruments, select woodwind and brass instruments, piano, and percussion, with plans to expand the offerings in the near future. The tutors of the Academy are all professional musicians trained in Europe and are all full-time members of the Symphony Orchestra of India. 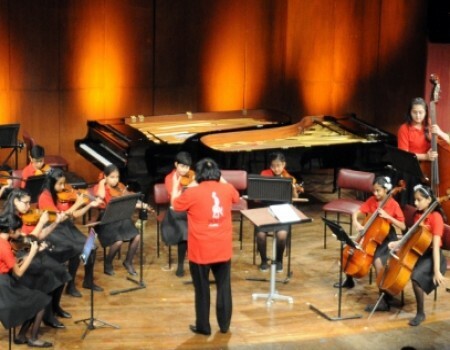 Students are given several performance opportunities each year, including an annual concert featuring students of the Academy performing with members of the Symphony Orchestra of India. This offers the students the rare opportunity to perform as a soloist with a professional orchestra. 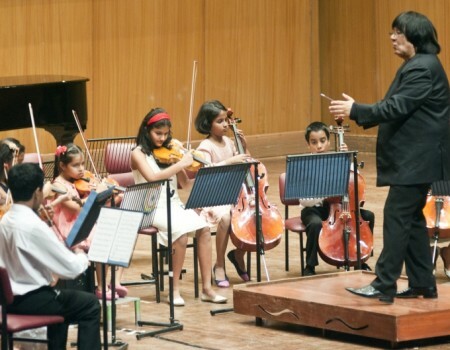 The SOI Academy Orchestra, comprising students of the Academy, regularly performs concerts in the NCPA and in other venues. In March 2018, they embarked on their first international tour, performing two concerts in Abu Dhabi. Watch recent performances by our students here.